Appfog Free Hosting for Beginners. AppFog is a cloud hosting platform and they are offering unlimited applications with in 2GB RAM usage. This is the best place to experiment your projects, specially for beginners. This post explains you how to setup an application and upload files into the AppFog hosting platform. Just create an account at AppFog.com and then you will find out the following screens. You can choose a cloud platform. 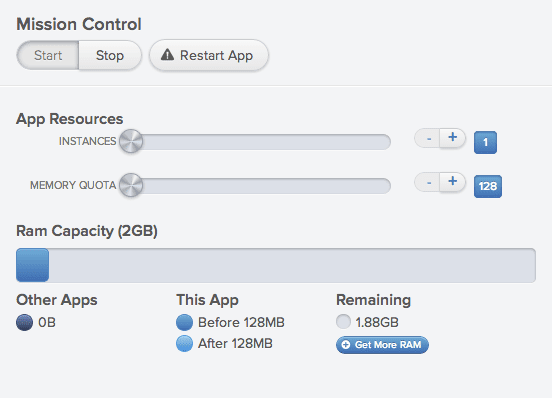 Here you can control the application instance. Go to your domain registration website and choose DNS settings and add new CName record. // Copy files into test directory. // Upload files into AppFog could. Database configuration file for MySQL service. If you want to setup Wordpress, just find and modify wp-config.php with below code. hello, is this have a ftp access, or by command prompt only? Thanks for this share Srinivas. Great to know about new APPFog Free hosting tool. Srinivas Tamada, you are very good writer, but it is very long time to see you here. Nice one. Could you please tell me how can I upload existing database dump? Hi. Found this useful. Can you write how to use af command in Linux. It isn't working on Linux. yeah, i'm using it right now.. Thanks for sharing, works for me!!! Error : <?xml version=”1.0” encoding=”u…. i getting this error when i uploading php files can any one face the same problem .if any one with the solution please let me know . i am getting this error when uploading a php project . if any one getting the same problem and have a solution please help. Srinivas if u have any idea of the problem please share. thanks for sharing does they support asp hosting as well? the username, password, hostname etc etc are given by Appfog or we can give our own information. 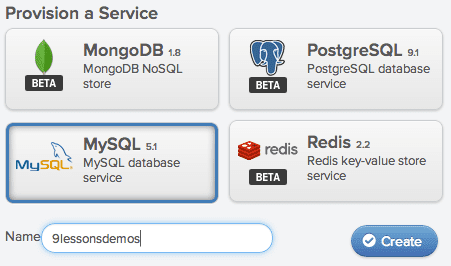 Ho to configure and update existing database of mysql in for using ruby application to Appfog. This Information about Free Hosting is very useful for us. This is appreciated by my kind of new beginners. Thanks. Finding a good web host is a task full of hazels. AppFog is really a good cloud hosting platform and the best thing about their service is they are offering unlimited applications with in 2GB RAM usage. when i'm applying this step "C:\test>af login"
Note: Ruby192 was already install in my system. Nice job. This was much more helpful than the quickstart at appfog. everytime i edited a file, i upload all project, how can i change that? How to add custom domain. It shows error while add custom domain.